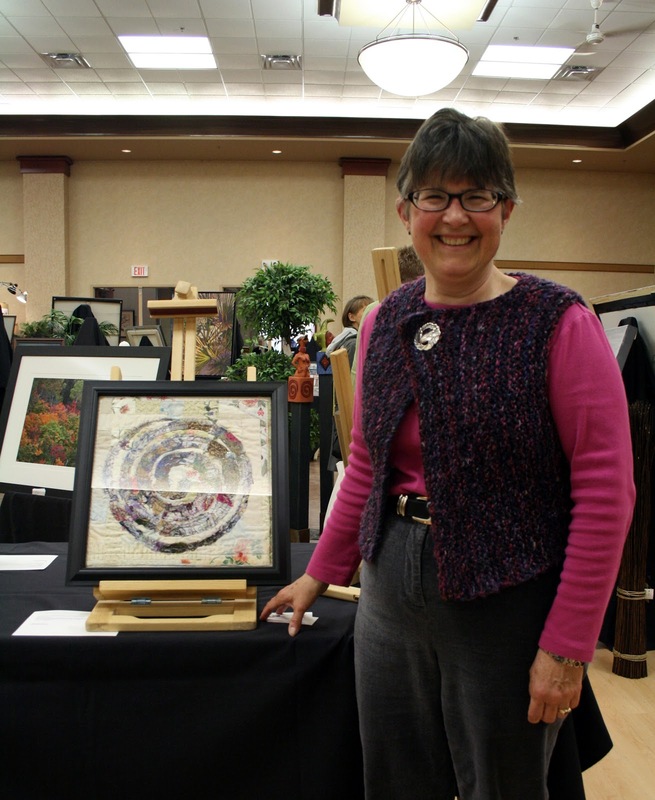 Margaret Blank: Thoughts from a Textile Artist: How could I forget?! My beautiful daughter with one of her photos, a glorious tulip printed on stretched canvas. And here am I, standing next to my "Snippets: A Quilt Artist's Learning Curve". There was no way to escape the glare of the lights on the glass, but we did the best we could. Each of us had 3 pieces in the show; none sold, but it was a weekend full of admiration, inspiration and appreciation for the wide range of creative souls who participated. Next year, we're thinking of sharing a booth. New textile pieces are under construction, and Gina will likely have not only photos for hanging but a selection of cards as well. Glad you were inspired and had fun connecting. Seems a valuable experience. You are looking wonderful, too, Margaret! Great photos of you and your daughter! 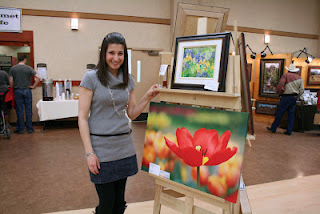 I love Gina's tulip on canvas and your "Snippets...." is wonderful!